Click the photos to be directed to product pages. Links also posted in product descriptions. Entering his sophomore year at college, Aaron Worth had nothing to look forward to. No motivation to thrive in class or in his extracurricular activities. Just cared about waking up and doing what he had to in order to get one step closer to graduation until one fateful pre-semester party introduced him to the person who would change his life. After a fateful encounter, lingering question and emotions previously never felt, Aaron focuses his time and effort on getting to know Kerri throughout the year. When the relationship between the two strengthens, deepens, each find themselves in scenarios they never imagined they'd be facing. As the year wears on, will Aaron and Kerri be able to navigate the new challenges thrown their way? To Madison is a college love story that explores the difficulties of managing priorities, coping with newly felt emotions and growth, both personally and emotionally. 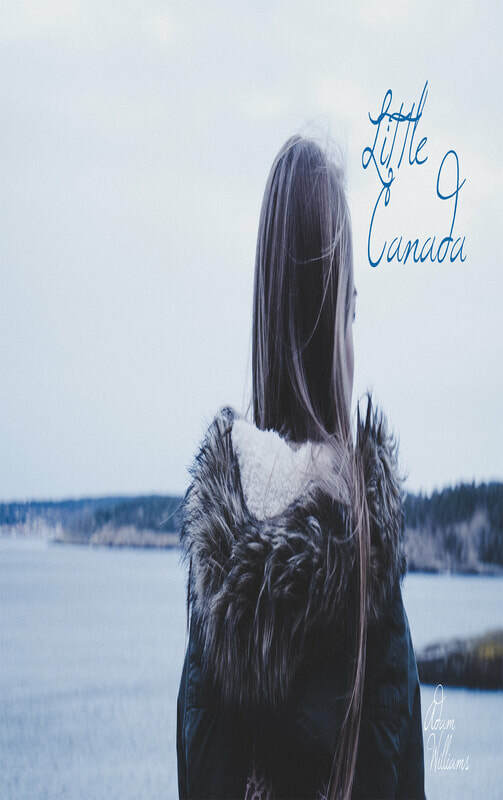 ​Little Canada is a collection of poems and prose, thoughts and statements about young love and its impact not only in the moment, but in the aftermath. Chronicling the three key stages--Before, During and After--of any relationship, this collection depicts the highest of highs and lowest of lows and everything in between, including classic cliches.